There are many ways to give cockroaches the flick. But the successfulness of each method depends upon the species of cockroach you’re dealing with, the severity of the infestation, and the thoroughness with which the cockroach control treatment program is implemented. 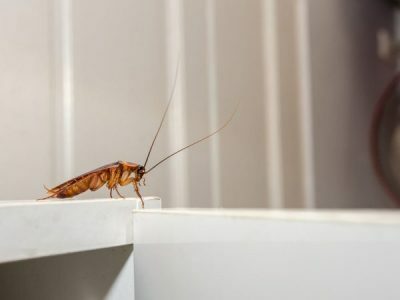 In this article, we outline a few of the most common ways property owners exterminate cockroaches and assess the best method for getting rid of cockroaches from your home or business for good. 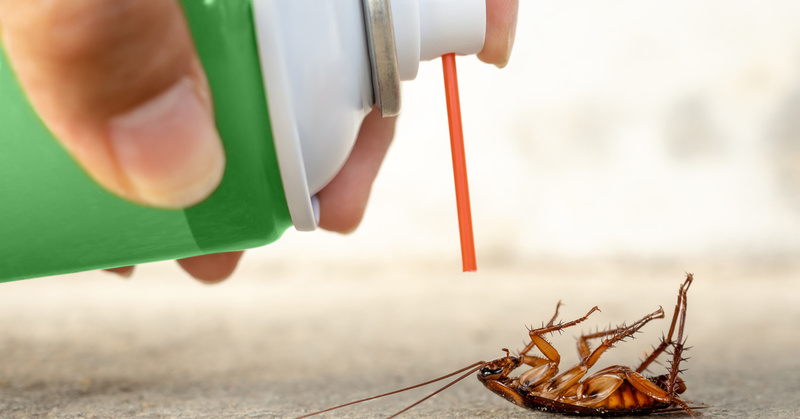 Store bought cockroach sprays are probably the most common method of cockroach control in residential homes. Most Brisbane homeowners will have a spray can at hand to quickly douse a scuttering roach as it dashes across the kitchen floor. But everyday cockroach sprays only target the pests that you can see. If you’re dealing with a full-blown infestation, store-bought aerosol sprays won’t do much to exterminate the source of the problem; the nest. 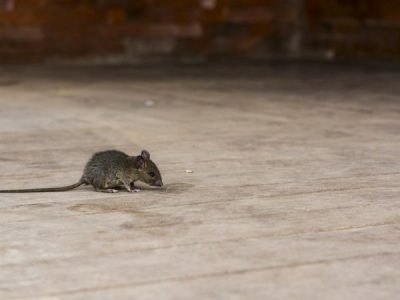 So you’ll probably continue to see these pesky critters popping up around the home if no further treatment is undertaken. Cockroach baits often come in the form of bait stations and can likewise be purchased easily from the supermarket. Cockroach baits aim to exterminate the entire cockroach population taking up residence in your home or property. The bait stations contain poison that attracts roaches. Once the cockroach eats the poison, it will return to the colony and spread it through its feces, which other cockroaches then eat. Cockroach baits have varying success rates. They’re often slow-working, and sometimes it can take longer for the poison to spread through the colony than it does for the cockroaches to reproduce, rendering it ineffective. Find out why your Logan or Mount Gravatt home may be at risk of a cockroach infestation by reading this article! Cockroach dust can be extremely fast-acting and effective if applied correctly. Most property owners do not take a DIY approach to cockroach dust as it can be messy and unsuccessful if you don’t know how to use the product properly. When implemented by a professional pest controller, however, cockroach dust often results in complete extermination, particularly when used in conjunction with other treatment methods. Cockroach gels are much easier to apply neatly than dust, especially in areas that need to be kept clean such as commercial kitchens. 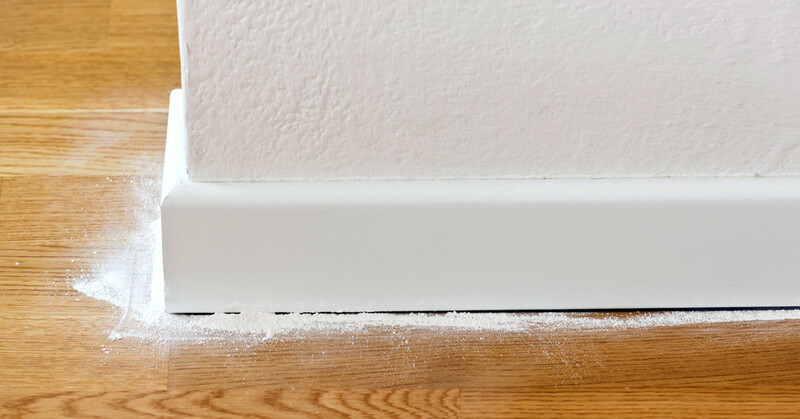 Gels can be injected in hard to reach places such as cracks and crevices in flooring, walls and cupboards where cockroaches congregate. The poison in the gel works much like poison baits, attracting the cockroach to eat it so that it can then infect the colony. DIY methods of cockroach control can be easy to carry out but have a slower and less frequent success rate. Furthermore, these methods do little to keep cockroaches at bay long term. Professional cockroach control services, in contrast, aim to exterminate cockroach infestations and prevent them from returning for up to 12 months. A professional pest controller can identify the species of cockroach plaguing your property and tailor a unique treatment plan to target it. Complete cockroach eviction from your property is attainable in a quicker time-frame, and the safety of your family or work environment is always taken into consideration. Sometimes it takes more than a quick barrier spray to rid your property of these persistent pests. 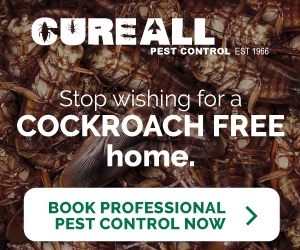 Professional cockroach exterminators can generate a treatment plan geared towards total cockroach infestation elimination! 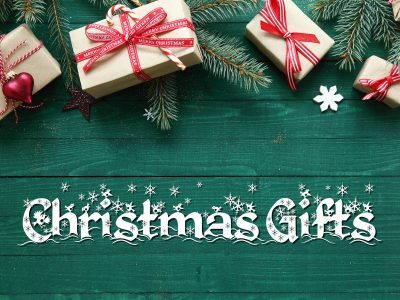 Looking for Brisbane pest control service specialising in cockroach extermination? 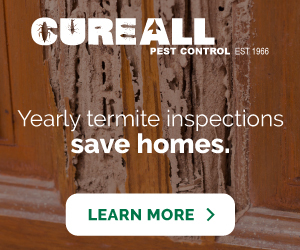 Contact Cure All Pest Control to get rid of cockroaches for good!